Speed Anatomy for iPhone and Android - Fun, addictive and educational! The longest game in the series containing 28 exciting levels. Now available on Android Free! 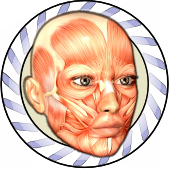 In this game you will need to be able to identify the location of some of the smallest muscles in your face, neck, arms, hands and feet. Covers bones in greater details. Also try the free Speed Bones Lite. You now know all the bones, muscles and organs of your body and still want more? Identify veins and arteries with Speed Angiology. How fast can you point to your liver, gall bladder or incisor? Do you know the difference between the auricle and the utricle, the sacrum and the manubrium? 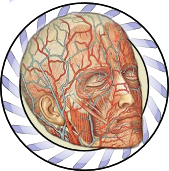 Speed Anatomy is an addictive game that tests your speed and challenges your knowledge of human anatomy! 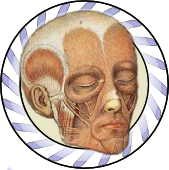 -Learn the anatomy of bones, muscles, arteries, veins, respiratory system and digestive system, lungs, pharynx, larynx, nasal cavity,oral cavity, dentition, liver, pancreas, brain, auditory system and visual system. -Get the more in depth 'MD' versions for Bones, Muscles, Veins and Arteries. Speed Anatomy is fun for everyone and it makes life easy for those tackling anatomy for high school, university or medical school. Practice mode allows you to learn specific regions without doing all the previous levels. Review mode lets you replay all the mistakes you made in the last game. Bookvoid - The web based free textbook app. Messil - Apps for doctors.